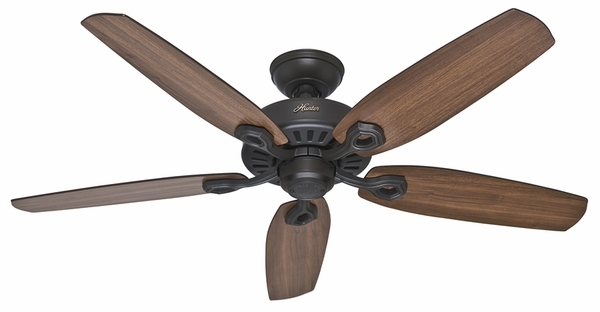 Hunter 53242 Builder Elite Ceiling Fan with Blades - 52"
Home > Home Improvement > Fans > All Ceiling Fans > Hunter 53242 Builder Elite Ceiling Fan with Blades - 52"
Both classic and sophisticated, the Builder Elite 52 inch Ceiling Fan with Blades from Hunter delivers a gorgeous aesthetic at a price that can't be beat. The Builder Elite comes in white, brushed nickel, and new bronze finishes, and is perfect for use in even the largest rooms up to 485 square feet. The Whisper Wind motor provides a powerful yet quiet operation with three different fan speeds as well as a reverse function for use even in cooler weather. 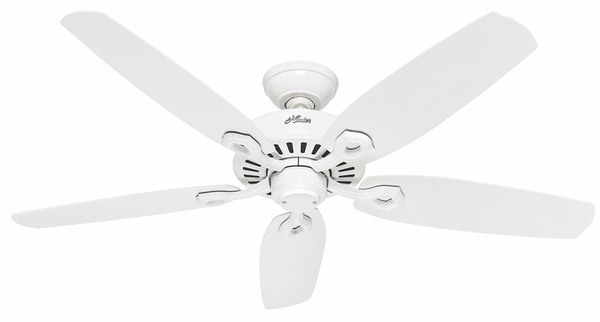 This fan is Energy Star certified for maximum energy efficiency and an excellent performance. 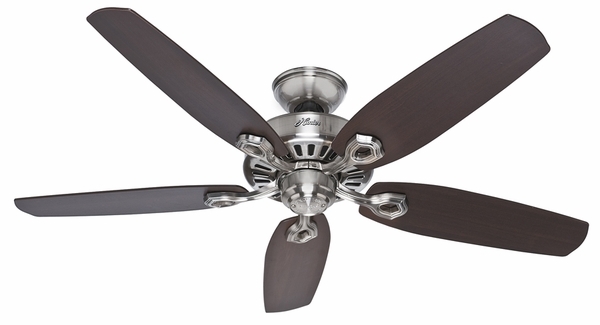 The Builder Elite includes a total of five reversible fan blades in Brazilian cherry and harvest mahogany. What is the height from the ceiling? The height from the ceiling is 30". Thank you.